Aug 2, 2014-China- These cheap lace front wigs have been greatly available to the wonderful theatrical industry for over many years. Such kind of wigs were very custom made and personalized according to the person’s head size and usually took almost 250 to 400 hours to actually make it. As technology improved and manpower decreased, a lot of manufacturers started looking for ways to do mass production these kinds of wigs at a very affordable price. 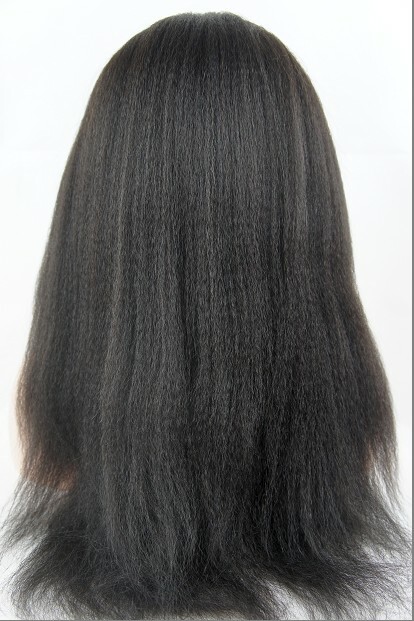 Generally, these wigs from famous online seller classiclacewigs.net are made in general fashion, just ignoring the wefts in the front and the back of the wig is replaced nicely with a well structured band of lace which has separate hairs hand tied onto the webbing’s cross sections. Such that, lace front wigs consists of small groups or individual hairs tied onto the lace and this is then carefully sewn into the wig. As the end user, you can cut it and customize it according to your requirements. You can wear these cheap lace front wigs and make it look like as if you are not wearing a wig at all! After, picking up the wig which you want, make sure that your hair is kept out of the way. And, in case, you have long hair, ensure to pin it up perfectly and close to your scalp so that it doesn’t appear when you wear the wig. When you have short hair, it will be of no problem as you can just nicely comb it back. After ensuring that your hair is flat and pinned back, you can cover it carefully with a wig cap and take the wig aligning it with the front of the forehead. You can now place the wig by using your hands and stretching the cap open; pull it down gently on the back and make sure it is on your hair properly. After, it is placed, decide how much lace you would like to leave around your hairline. You can cut the unwanted lace by removing the wig and finally make any adjustments and apply the adhesive. You can now style your beautiful hair as usual.